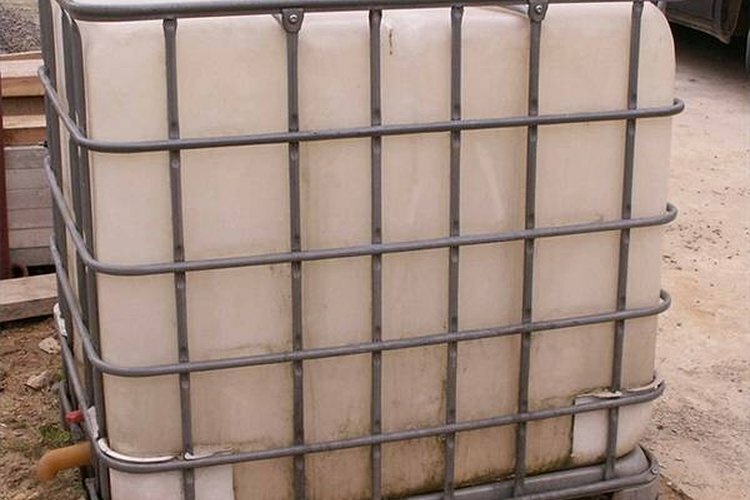 Plastic water tanks come in all shapes and sizes and are the sort of thing that see a lot of abuse. They are regularly damaged, and some are not so easily or cheaply replaced. Also, some people just have the old-fashioned, sensible attitude that useful things should be fixed, not thrown away. Patching up a plastic water tank is a simple process that can be done inside of 10 or 15 minutes. Drain any remaining water out of the plastic tank. Take the pocket knife and use it to cut away ragged parts of the rupture or tear, if there are any. Cut a section of fiberglass patching so that it covers the opening by a margin of about 1 to 2 inches. Put on the rubber gloves and mix a batch of epoxy resin with its catalyst (they are packaged together) on a piece of cardboard with a Popsicle stick or something similar. Apply a generous amount of resin around the tank's rupture, covering the area that the patch will be placed over. Set the patch in place. Cover the top of the patch with additional resin, being sure to coat the seam between the patch and the tank. Allow the patch to set and dry for at least overnight, and preferably 24 hours before using the tank again.